11” X 17” is an assemblage of different acquired garments using the cutout as a tool to create new perspectives on what already exists. 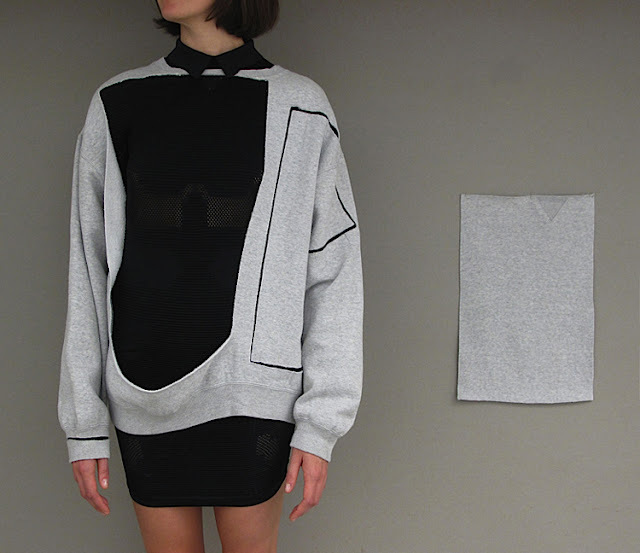 The cuts in the garments are neat, precise and carefully executed by Elisa van Joolen (Dutch/Italian), a recent graduate of the newly initiated MFA Fashion Design and Society program at Parsons The New School for Design, lives in NYC and Amsterdam. Her working methods can be compared to that of an anthropologist: deconstructing and unraveling existing frameworks mainly connected to the representation of fashion. Elisa will be showing at New York Fashion week in September 2012 which will provide a new perspective on her work 11” X 17” as it translates from an exhibition context to runway. Via Trend Tablet.